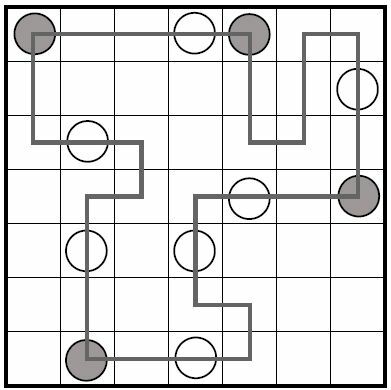 Masyu is a rarely seen logic puzzle from Japan that is great fun and is sure to have you scratching your head! White circles denote that the loop must go straight through that cell without turning in it, however in the next and/or previous cell to that containing the white circle the loop must turn (all turns are 90 degrees). 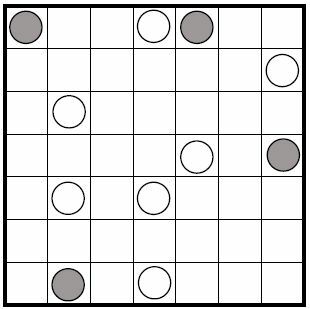 Black cells in contrast denote that the loop must turn inside that cell, but the loop must travel through both the previous and next cells without turning.